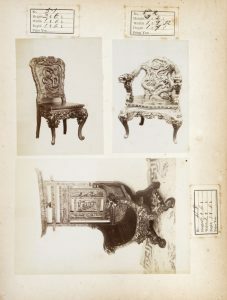 HEDLUND, Roy James; WEBB, L.R. 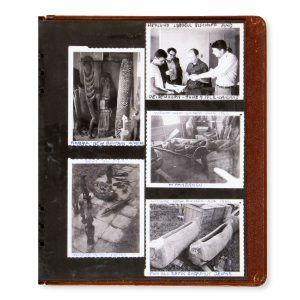 Photograph album documenting the field-collecting of indigenous artefacts in New Guinea and the Solomons, 1962. 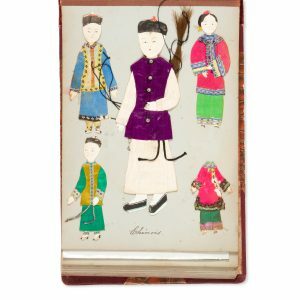 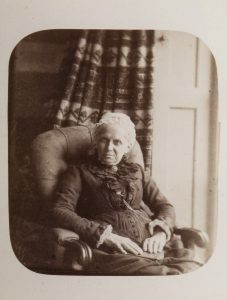 [Germany] : s.n., [c.1888]. 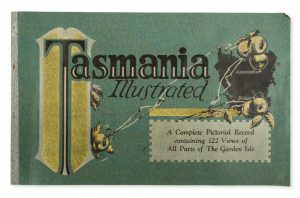 Octavo, original cloth backed blue pebbled boards with gilt embossed lettering and decoration, including the Australian coat of arms, containing a leporello concertina foldout with  panels of views of Tasmania; internally very good. 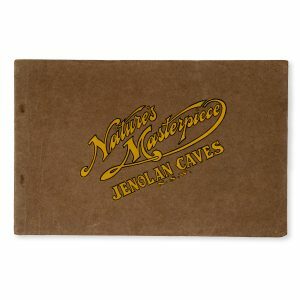 Nature’s masterpiece : Jenolan Caves N.S.W. 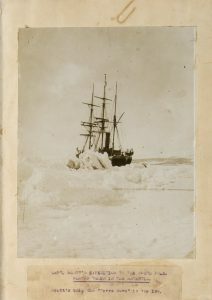 Willoughby, N.S.W. 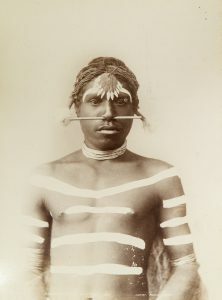 : H. Phillips, . 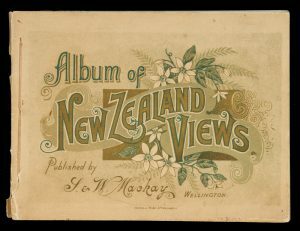 Oblong quarto (220 x 340mm), publisher’s brown wrappers (detached) with decorative lettering in yellow,  pp, chiefly half tone photographic illustrations; internally clean, a good copy. 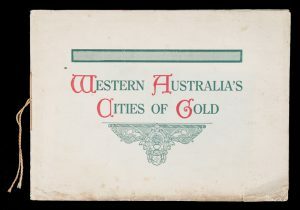 Harry Phillips, born in Ballarat in 1873, established himself as a photographer, printer and publisher in Katoomba from 1908, later relocating to Sydney. 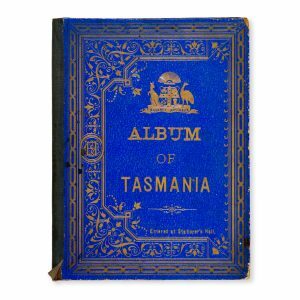 An album of photographs documenting Robert Falcon Scott’s Terra Nova expedition, 1910-1913; [together with] A manuscript plan of the Discovery, and two letters of Scott relating to the British National Antarctic Expedition, 1901–04. 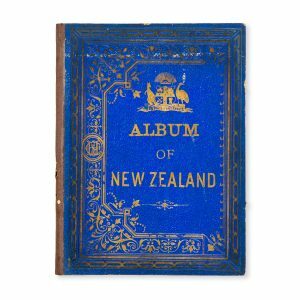 [WOMEN’S EDUCATION] Photograph album of the University of Cambridge, compiled by a graduate of Newnham College. 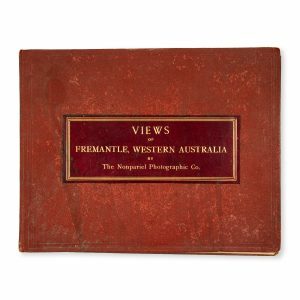 Bound in Melbourne, early 1890s. 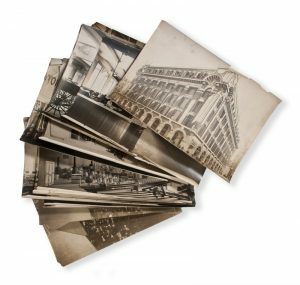 [EARLY PHOTOGRAPHY] The Liverpool Dry Plate and Photographic Printing Company. 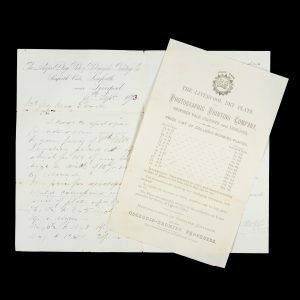 Price list of Collodio-Bromide plates. 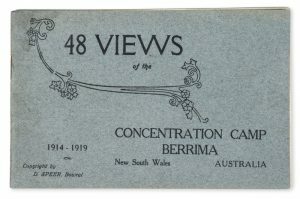 48 views of the Concentration Camp, Berrima, New South Wales, Australia, 1914-1919.